One of the things that made Robin Williams such a beloved actor was his ability to make the audience smile, and a new YouTube video shows that he continues to do that in the wake of his death. 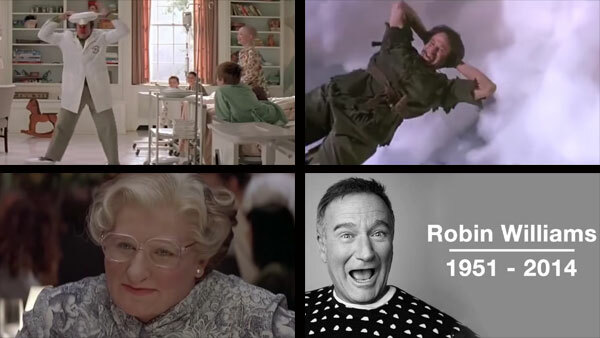 Modern Green, an experimental marketing company, made this short but powerful tribute by combining his character's valedictorian speech in the 1996 movie "Jack" with footage from some of his most iconic movies, including "Hook," "Mrs. Doubtfire" and "Patch Adams." The result is both chilling and heart-warming. Please, don't worry so much. Because in the end, none of us have very long on this Earth. Life is fleeting. And if you're ever distressed, cast your eyes to the summer sky when the stars are strung across the velvety night. And when a shooting star streaks through the blackness, turning night into day... make a wish and think of me. Make your life spectacular. I know I did. What was your favorite Robin Williams character? Let us know in the comments.